Read WCH Foundation’s 16-17 Report to our Community! Did you know that 2017 marks another 150th anniversary? In the summer of 1867, WCH founder Dr. Emily Stowe opened Canada’s first medical practice run by a woman. This was the start of a legacy of firsts in healthcare for women and their families that continues today thanks to generous people like you! 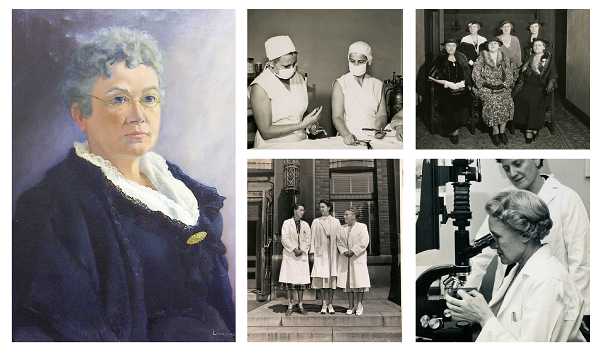 Celebrating 150 years — of women in medicine! In the summer of 1867, Dr. Emily Stowe opened her medical practice in Toronto. To let the public know she was female, she advertised in the Globe and Mail as Mrs. Dr. Stowe! With the opening of her clinic, Dr. Stowe became the first to fill a crucial gap for women: the need to be cared for by a female physician who understands their unique needs. In Ontario alone, two people die each day from opiate overdoses. To combat this growing problem, Women’s College Hospital recently opened Toronto’s first barrier-free rapid access addiction clinic. Tracy was among the first patients of the clinic, and in a moving video, she says the care she received saved her life. Every day, you inspire extraordinary advances in healthcare for women through your generosity, partnership and enduring belief in the power of this institution to change lives. 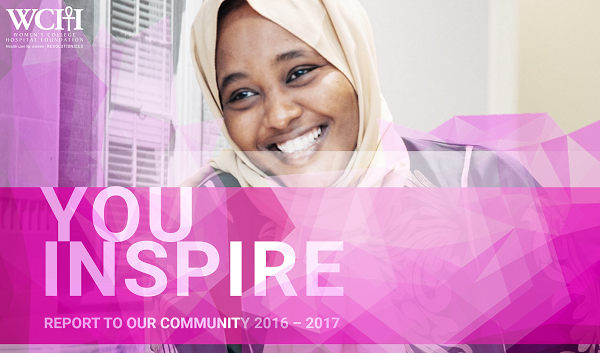 To learn more about your incredible impact over the past year, we invite you to read WCH Foundation’s new 2016-2017 Report to our Community! 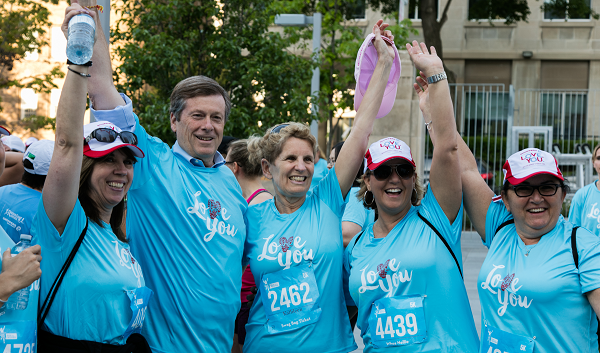 On Saturday, June 10, over 1,200 community members gathered in front of WCH and joined Premier Kathleen Wynne, Mayor John Tory, Minister Carolyn Bennett and Councillor Kristyn Wong-Tam to run and walk in support of the Women’s Mental Health Program at WCH. It was a record-breaking event and the largest in the country. WCH is set to become just the second healthcare institution in Canada to offer genital reconstruction surgery for trans people undergoing gender reassignment. The move, announced recently by Ontario Health Minister Eric Hoskins, is in response to growing demand across the nation.